Trick or treat!! 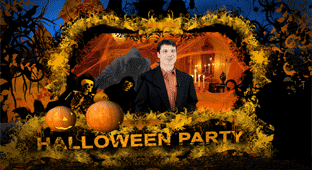 When it comes to the spookiest holiday of the year, you’re no doubt on the hunt for some good costumes, ghoulish make-up and maybe even some live entertainment or D.J.’s to create a scarily memorable party! Don’t stop there, how about a fortuneteller or some super scary Halloween decorations?! Let your imagination run wild as you peruse our extensive list of Halloween vendors, all ready to provide you with a screaming good time!